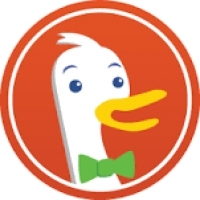 DuckDuckGo is an Internet search engine that emphasizes protecting searchers' privacy and avoiding the filter bubble of personalized search results. Simply type what you are searching for and the DuckDuckGo Bot will fetch the absolute latest results for you. Crave to learn more about a result? Then simply click on the link and get the full details directly from DuckDuckGo. It's so quick!